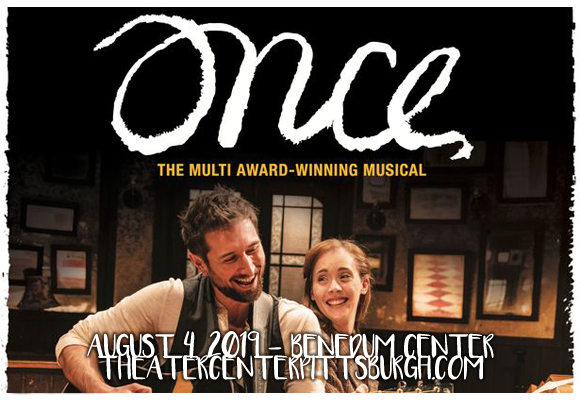 Once – A New Musical comes to Benedum Center on Sunday 4th August 2019! This heart-rending story follows the enchanting relationship of a disillusioned Irish busker on the verge of giving up his dreams of a career in music, and a young Czech woman who sees his promise and decides to believe in him. What follows is an unexpected friendship that harnesses the power of both music and love! Tickets available now for this Academy Award, Grammy Award and eight-time Tony Award-winning show! Based on John Carney's 2007 film of the same name, Once is multi-award-winning Broadway musical. Much like the film, the musical contains music and lyrics written by Glen Hansard and Markéta Irglová, including the Academy Award-winning "Falling Slowly", and follows a thirty-something Dublin busker (known simply as “Guy”) and a young Czech woman (“Girl”) in a tale of love, music and the magic that can happen when you take a chance… Premiering at the New York Theatre Workshop in 2011, before transferring to Broadway in 2012, the musical received eleven 2012 Tony Award nominations, and won eight including Best Musical, Best Actor and Best Book (the book was written by Irish playwright Enda Walsh). It also won the 2012 Drama Desk Award for Outstanding Musical and the 2013 Grammy Award for Best Musical Theater Album.